Food on Foot: Steak It The Gordon Ramsey Way! I do not know if it's got something to do with the Gordon Ramsey recipe or is it because of the edited clip. 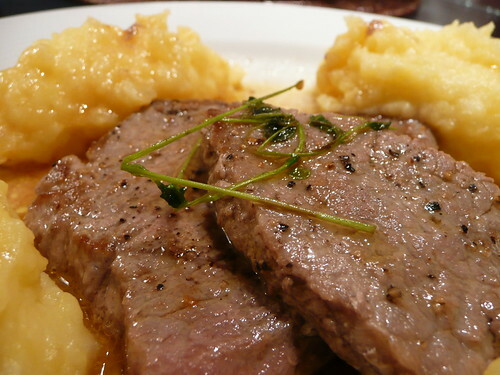 It seems terribly easy to cook a piece of steak which hasn't occured to me till recently! And naturally, I feel so encouraged after watching the 1 minute video that I proceeded to cook three steaks all at once!